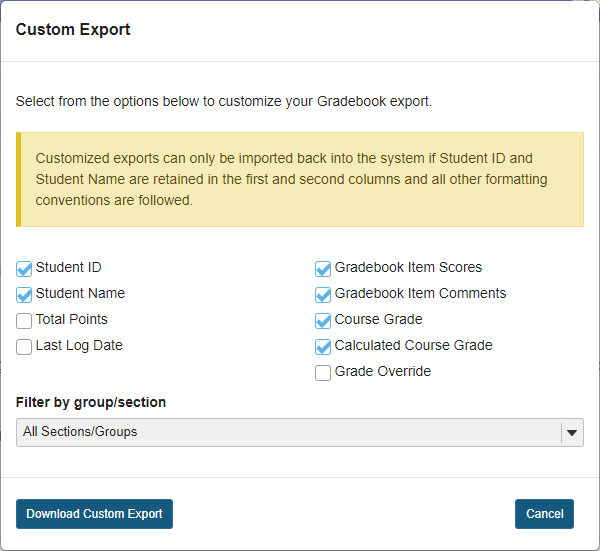 Sakai Guides and DocumentationSakai Complete User Guide GradebookHow do I export grades from Gradebook? Prev: How do I enter and/or edit grades in Gradebook? Next: How do I format my file for importing grades into Gradebook?